Alpine Splendor! 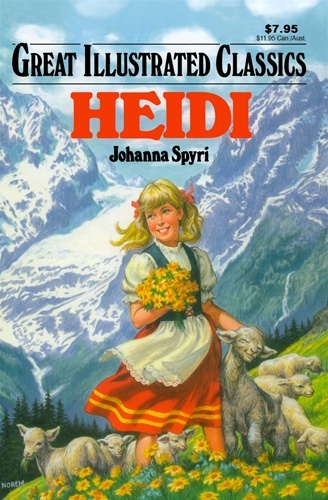 Heidi, a girl of the majestic Swiss Alps, finds beauty and simple wisdom in nature. Living in virtual isolation with her eccentric Grandfather, Heidi develops a special feeling for the plants and animals she finds in the hills and valleys. But her life suddenly changes when she must live in the city. There she befriends an invalid girl and makes new friends. But Heidi grows homesick for her mountain life. Her adventures in her alpine home and with her city friends will bring tears and smiles and warm your heart!